This past week I’ve been watching interesting talks from world-class events themed around technology, social media and the internet era. Since I find some of my discoveries to be so powerful and so useful, I felt eager to share them with you, and what better opportunity than The Tuesday series “Three Gems from the Web”. The bottom line is: I am not trying to sell you anything, I am only trying to be useful and get you engaged with our content because I believe that our choices speak louder than our words. 1. 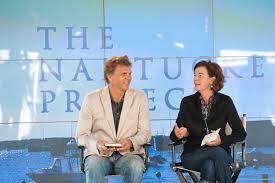 The Nantucket Project – Originally founded in 2010 by Tom Scott and Kate Brosnan, this event is a business, tech and cultural conference held on the Nantucket island in Massachusetts in a tent overlooking the harbor. Great minds gather there every year to discuss on the state of the world with a broad topic as a topic for each year. The organizers offer some subsidized places for students and scholars, but the fees are on the expensive side. Nonetheless, there is plenty of material that you can check and learn from on the social media channels. Here s their YouTube channel. 2. Mastermind talks – Is a entrepreneurship conference but has such a humane and balanced approach that it really impressed me. Attendance is quite selective but there is plenty of material on all social media platforms from past events, that are incredibly valuable. Jayson Gaignard, the mastermind of Mastermind Talks is a person worth checking out, too. 3. CeBIT – I thought it might be nice to add a huge and interesting European event. 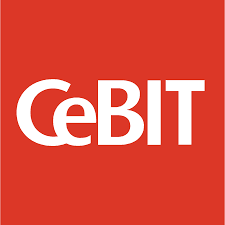 CeBIT is a German technology fair and conference that addresses everyone interested in technology and innovation. It is more of a conventional event than the previous two but it is also much more affordable. It also holds a special panel for bloggers, which I find very interesting. There are plenty more out there, and I am sure I am still to discover some of the best ones. But, in case you don’t know of these three, and are interested in keeping up with the technology game (and not only technology), they are worthwhile checking out.